TRILOK STEEL INDUSTRIES is one of the renowned manufacturer, exporter, stockist, stockholder and supplier of Stainless Steel Pressure Tubing. Our offered Stainless Steel Pressure Tube is capable of operating to 150,000 psi (10342 bar) and range in size from 1/4" to 1" tube size. Standard tubing is available in 316 and 304 stainless steel tubing. Stainless Steel High Pressure Tubing is used as fluid handling components for the chemical/petrochemical, research, and oil and gas industries.We are specialises in the supply of high quality Seamless High Pressure Tubingin stainless steel 304 and 316 grades which are highly resistant to corrosion.Trilok Steel Industries is PED approved manufacturer & Govt. of India recognized Export House and an ISO 9001 : 2008 accredited company. Stainless Steel 304 Pressure Tubingis available in various sizes and pressure ratings for optimal performance.We are also well known Stainless Steel Pressure Tubing Manufacturer in India. 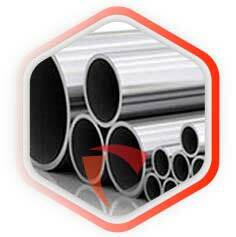 Buy stainless steel High Pressure Tubing at best price in India. Stainless Steel Pressure Tubing Size Range 1/4", 5/16", 3/8", 9/16", and 1"
Trilok Steel is ISO 9001:2008, ISO 13485:2012 certified manufacturer of standard and custom seamless high pressure tubing. Stainless Steel High pressure tubing manufactured by TRILOK STEEL INDUSTRIES is used to help extract oil and gas in some of the most hostile downhole conditions including deepwater and sour oil well projects. These high performance high pressure tubes can be produced for low, medium, high and super high pressure applications.Seamless high-pressure tubes for a variety of high-pressure applications using liquid or gas as the pressure medium, such as hydraulic installations, test benches and water-jet cutting equipment. High Pressure Tubing sizes are 1/4", 5/16", 3/8", 9/16", and 1". 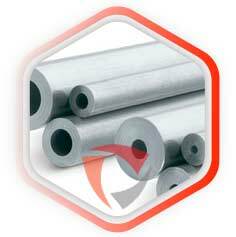 Stainless steel Pressure Tubing is manufactured from cold worked stainless steel. Stock SS Pressure tubing lengths from 20 to 26.5 foot (6 to 8 meters). Special material and special length tubing available. stainless steel Pressure Tubings has a wide range of wall thicknesses are sold, starting from 1.6mm (0.063”) outer diameter for precision instrumentation, chemical injection and monitoring applications on downhole tools. High Pressure Tubing Sizes go up to 63mm (2.475") OD. Operating conditions can require our products to be rated up to 60,000psi operating pressure and with tensile strengths greater than 220ksi (1,515MPa). High Pressure Stainless Steel Tubeis availble in a wide range of corrosion resistant austenitic and stainless steel materials in grade 304, 304, ,316 and 316L. However, High Pressure Stainless Steel Tubingcover a broad range of size specifications meeting the requirements of the oil and gas industry.Stainless steel high-pressure tubes are characterized by high yield strength and high tensile strength in connection with high elongation. The pressure resistance is guaranteed by the very smooth inside surface. An autofrettage treatment prolongs the cycle fatigue behavior. Stainless Steel High Pressure Tube is cold drawn, seamless, and is supplied in the 1/8 hard condition (not annealed). Tensile strength is approximately 40 percent higher than that of annealed tubing. All Stainless steel pressure tubing is manufactured in strict accordance with High Pressure Equipment Company specifications to insure tolerances and bore quality. Seamless High Pressure Tubing is stocked in lengths of 18 to 22 feet but may be ordered in shorter lengths with no additional cutting charge. The tests carried out are certified according to DIN EN 10204 3.1. Reception tests according to DIN EN 10204 3.2 by neutral experts can be made on request. Examinations to determine the cycle fatigue behavior under defined operating conditions can be carried out on request. We offer individual advice. Our testing laboratory for high-pressure tubes is accredited according to ISO 17025. The scope of inspection depends on the customer specification. check latest updated price of stainless steel Pressure Tubing. Stainless Steel Pressure Tubing Manufacturer in India, SS Pressure Tubings, SS Pressure Tubing Dealer in India, High Quality Stainless Steel Pressure Tubing, Stainless Steel Pressure Tubings Exporter in India, Stainless Steel High Pressure Tubing Trader, Stainless Steel Low Pressure Tubings. Suppliers of Stainless Steel Pressure Tubings, 304 Pressure Tubings, 316l Pressure Tubing Manufacturers in India, SS 304 Pressure Tubing Importer, SS 316 Pressure Tubing Supplier in Mumbai, India. Stainless steel Pressure Tubings are finished in accordance with customer needs regarding dimensional and wall thickness specifications as well as heat treatment for more demanding applications. In general a stainless steel Pressure Tubing is manufactured according to current standards API, ASTM, and ASME. If required for special projects we can also supply large diameter Pressure Tubings. Stainless Steel Pressure Tubing 9/16" - 0.011" / + 0.0" .182" / .187"
Stainless Steel Pressure Tubing 1/4" + 0.004" / - 0.004" 3/32"
Stainless Steel Pressure Tubing 3/8" + 0.004" / - 0.004" 1/8"
Stainless Steel Pressure Tubing 9/16" + 0.004" / - 0.004" 5/16"
Stainless Steel Pressure Tubing 9/16" - 0.011" / + 0.0" .307" / .312"
Stainless Steel Pressure Tubing 3/4" - 0.010" / +0.0" .432" / .437"
Stainless Steel Pressure Tubing 1" - 0.010" / +0.0" .557" / .562"